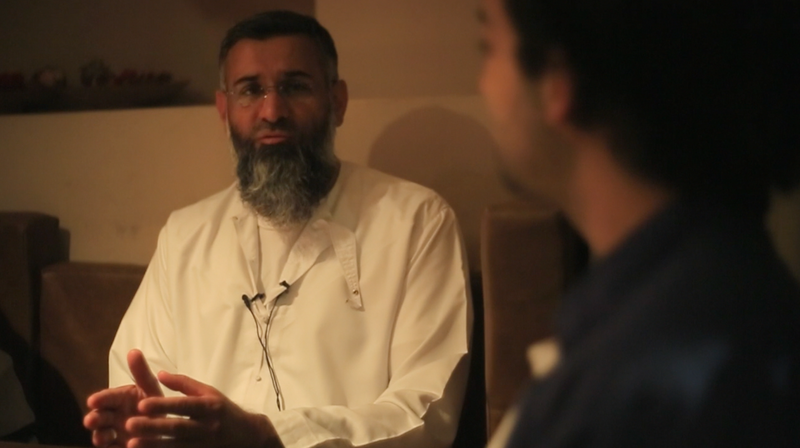 It sounds worse than it is, but I’ve been hanging out with Anjem Choudary, an extremist, Islamist hate cleric who praised Lee Rigby’s killers. I suppose you need some context. Filterview, my social video network, has been making videos for The Tab. Generally, it’s been light-hearted stuff like “Clubber Steve” and “Inside Comic Con”. But we also want to create more controversial and cutting edge pieces, exploring particular sub cultures and groups denigrated or shunned by main stream media, This is what led me to Anjem Choudary. I found his phone number and to my surprise he welcomed my call and invited me to meet up in East London and discuss potential filming. He greeted me in a back room of a cafe in Walthamstow and over the course of two hours I listened to one of the most hated men in Britain talk about his desire to bring Sharia law to Britain. At one point, he proudly said: “I have been linked to every major terrorist attacking within Europe over the last 15 years”. So why did I choose to create a film about Anjem Choudary? Anjem, the ex leader of Al-Muhajiroun (a group which organised anti-western demonstrations), believes the world should be united under Sharia law. He was also a spokesman for Islam4UK. Both organisations have been disbanded after the UK government banned them for allegedly promoting extremism. I have been fascinated by Anjem ever since I met Lee Rigby’s parents while Filterview were making a documentary, entitled “Save Our Soldiers – Save 2RRF”, which centred around the impending Army cuts. One of the battalions being removed was the 2nd battalion Royal Regiment of Fusiliers, which Lee Rigby served in. I was given the unique and difficult task of being the first person to interview Lee Rigby’s parents. At roughly the same time Anjem Choudary was being lambasted by all sections of the media for refusing to condemn Lee Rigby’s murder and even going as far as to describe one of his killers, Michael Adebolajo, as a “nice man”. I will never forget the harrowing feeling of entering Lee Rigby’s home on the outskirts of Manchester. No longer was this just a news headline digested in the comfort of my living room, looking at that same picture of Lee Rigby in military dress I’d seen in the papers. I had entered his family environment and was confronted with family photos of a young man, only 25 and with a young child, now brutally murdered in the name of the supposed religion of peace. We did not discuss his murderers, the motivation behind it or anything of that nature in the interview and it would be a misrepresentation to suggest I did. What I did take away, however, was a memory of the raw pain of his family. The blatant refusal of a British man to condemn the daytime murder on the streets of a fellow countryman was something that on one level angered me. Not only because I had first-hand experience of seeing the pain inflicted from Lee Rigby’s murder, but also because Anjem Choudary, who claims to represent a section of the British Islamic community, seemed to me to be condoning murder. On another level it also motivated me to create a film with him. Some people may find it shocking that I was considering giving a platform to a man like Anjem, but giving someone the opportunity to express their opinion does not validate their opinion as credible. So I met up with him. I can’t pretend I wasn’t nervous. Here was a man who willingly associated himself with Lee Rigby’s murderers. Anjem however, was very personable and welcoming, buying me a coffee (and himself an ice cream sundae at 11am) and inviting me to chat freely. But if he has a talent, it probably is shock publicity. He made his name on Twitter, a format he has mastered better than many politicians. And he knows the value of being the person shouting loudest. After Islam4UK threatened to carry coffins through Wootton Bassett, Gordon Brown responded on live television the next day. This served as great PR in Anjem’s mind. 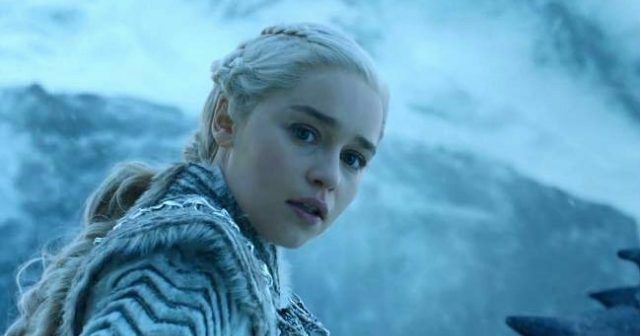 “Where else can you get mass attention for free?” he asked me, which probably sums up his ethos quite well: he is willing to say and do the most extreme things possible to anyone, as long as it will get him attention. Even if we are falling into his trap, I think it’s worth understanding what motivates him to behave in that way. Does he actually believe in some of the stuff he says? Does he – a former medicine student at Southampton who switched to law because of excessive partying – actually think observing Christmas will lead you to hellfire, that the 9/11 attackers are “magnificent martyrs”? I think he does, because, as he freely admits, his sole obsession is the rights of Muslims over everyone else. 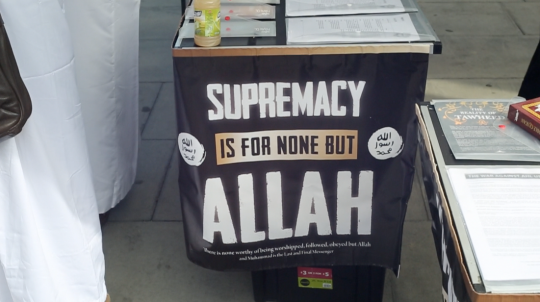 And for Choudary, the ends justify the means: “The small things don’t matter when you are in a state of jihad. Muslims can agonise over the small things when Sharia law is implemented. Why worry about the rope to tie up your camel, before you have a camel,” he said, during a monologue. 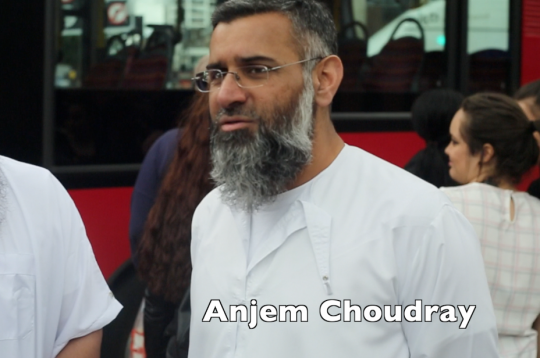 After chatting, Anjem agreed to participate in a film and invited the Filterview crew and I to attend an upcoming “Islamic roadshow”, where he and his followers spread the word of Islam with the aim of converting people. With such little common ground between us I decided to enlist the help of fellow Filterview presenter and producer Bob Juburi, who comes from a liberal, moderate Iraqi family. Bob agreed that there is a danger of labelling all Muslims together and suggesting that there is uniformity within Islam, when in fact it is one of the most fractured belief systems in the world. Bob shared some of the beliefs of Anjem surrounding British foreign policy but was diametrically opposed on topics like homosexuality. 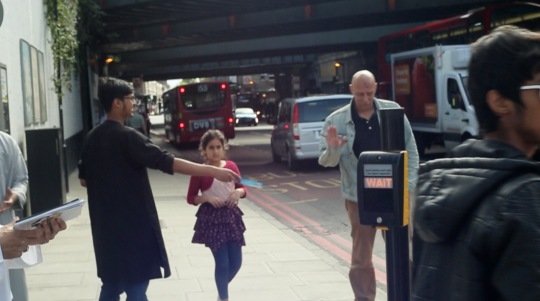 The decision was made to centre the film around Bob spending time with Anjem and his followers, to get an insight into how compatible modernity is with Islam. 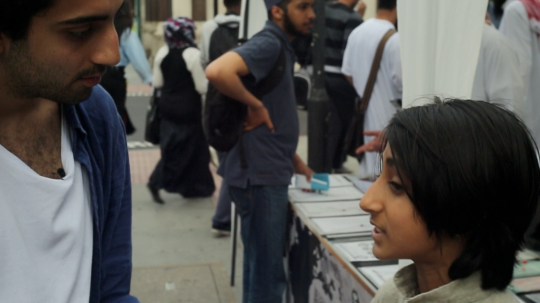 The short film begins with Bob exploring the Islamic Roadshow and isn’t about overtly critiquing Anjem Choudary or the people who share his beliefs. It aims to shed light onto a group of people who promulgate shocking and objectionable views to the everyday person. What you take from the film I will leave to you. My passing comment would be after spending time with a man almost universally loathed it was his hypocrisy, not his message, that stood out for me most. Anjem is a man who claims Islam and modernity are incompatible, despite employing the exact same shock tactics of the modern media he derides to get attention. You can watch the full Filterview documentary on The Tab soon.